A few years ago, some friends of ours found themselves struggling with the issue of infertility. Big ouch. After years of trying to have children, they finally got the news from the doctor and it was devastating. But then he said, "You know, technology is here to help you now. There are options." In the midst of this personal trial, our friends started to look into the options and they were suddenly faced with many ethical dilemmas. Financial dilemmas, too. Once they did the research and got the price tag, they realized that they would have to take out a huge loan to try something that might not even work. Are you living in the personal exile of being forced to choose between the baby you've always dreamed of and going into debt? It's painful when Mom, Dad, and all your friends are saying, "When are you going to start a family?" Infertility hurts! You grow tired of the long, tear-filled nights as you plaster on a smile during the even longer days as you wait for God to answer your prayer. Listen to me: you can find comfort and patience in the words of Isaiah 40:26-27. Lift up your eyes and look to the heavens: Who created all these? He who brings out the starry host one by one and calls forth each of them by name. Because of his great power and mighty strength, not one of them is missing. Why do you complain, Jacob? Why do you say, Israel, "My way is hidden from the Lord; my cause is disregarded by my God?" It's hard when we face the possibility that things we deeply want might not ever be. I know you might feel that either God can't see what's going on in your life or that He doesn't care about you. But (and don't miss this) God says, "Look at the stars, and remember I created them; I named them. I put them in place. They stay in place because I hold them there. Do you really think I don’t know about what’s happening in your life? Remember I’m the shepherd who cradled you and knit you together in your mother's womb! Do you really think I don't care?" Look into the night sky and remember His ability to create and sustain life. Look into your heart and know that He is with you in this personal exile. Lord, through the pain of things that may never be, I still worship You and praise You as my God and my King. Thank You for being with me in the midst of this trial. Amen. Don’t just survive life’s storms – thrive in them! 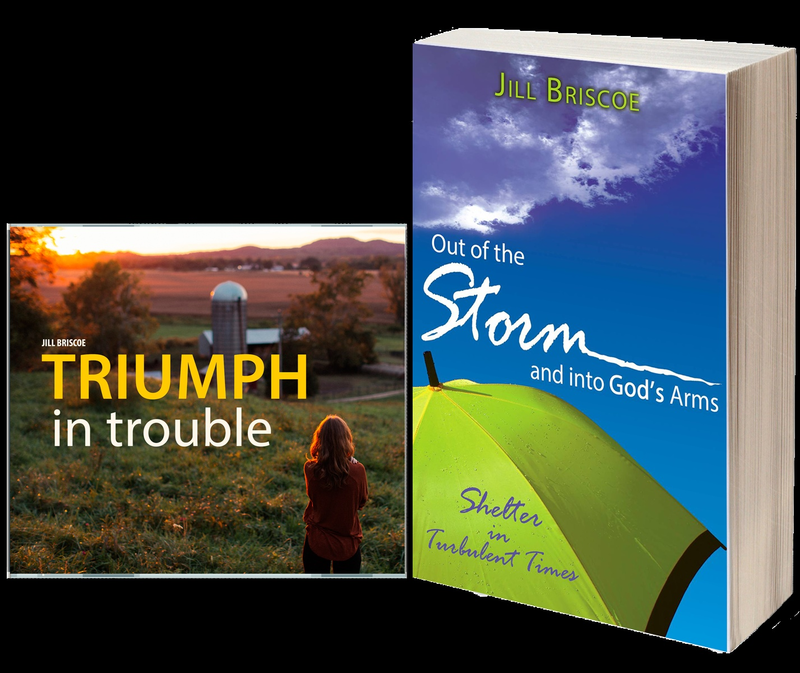 These encouraging resources from Jill Briscoe show you where to find strength in your seasons of suffering – and how God is your Rock and your Shelter no matter what. Request yours when you give today to help more people experience Life in Christ!